Why is a 'Captcha' title tag shown in my Site Explorer? Find out why a Captcha message is shown instead of your title tag. This is an indication that our crawler has been blocked from the website’s end which prevents us from crawling the content of the website. This is either due to a plug-in or some configuration that has been done on the website which results in the blocking of our crawler. 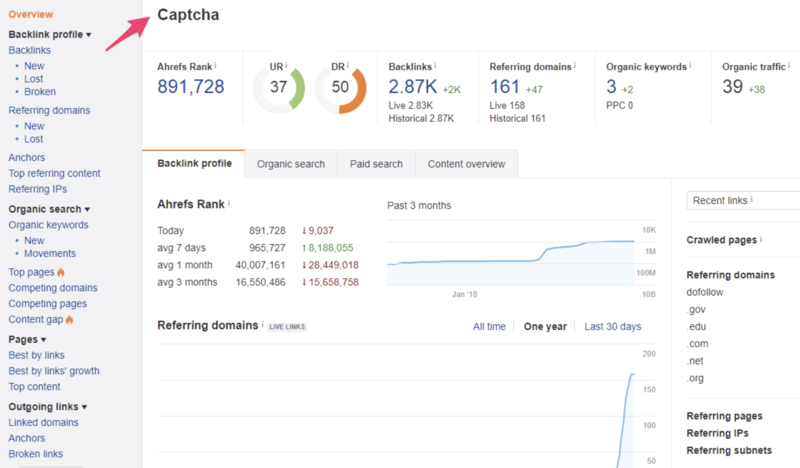 Sometimes, links reported as 'lost' in your backlinks report can also be due to Captcha. As a result, we were unable to verify the link as existing and therefore marked it as 'Lost'. If block is removed till next time we crawl the page, this link will re-appear as 'New'.